This post looks at story beats, grids and spreadsheets as they can you help to manage your story at a scene-by-scene level. This is a good time to look for that all-important cause and effect so that you can make sure that everything unfolds logically and earns its place within your manuscript. With story beats the idea is to condense the story elements down into bullet points rather than sentences or paragraphs. Aim for twenty-five story beats – though for a script forty is more common – you can always start low and then expand. Each beat can be a combination of scenes, rather than one bullet per scene, to pinpoint key events and turning points. All you need to do is write a numbered list and then go through your manuscript and fill in the blanks. Remember to check that the story moves through the seven critical plot points, and that these are spread evenly throughout the story’s acts. If you’re not sure if a scene, or chain of events, should be included in the beats then check back on your central theme, or vision statement, to see whether or not it fits. If it doesn’t, then perhaps it needs further developing, or removing altogether. When you come to revisit the manuscript you’ll be alert to those highlighted scenes and you’re more likely to notice if they slow the pace, or need further development to bring them back in line with the theme. Breaking the story down into a grid, or spreadsheet, by scene or by chapter, will really help you to take an aerial view of your story, especially if you’ve ‘pantsed’ your way through the first draft. If you’re a planner, you might have lovingly prepared a detailed schedule before you set off on your novel-writing journey. If that’s the case, you could revisit your original plans and add any new directions, scenes, chapters and characters. At the beginning of a project, I prefer to plan the main point points and develop the characters, but then I join the dots as I write and change things a lot in subsequent drafts. This method means that I introduce a spreadsheet once I have a first draft, I use it to track the act, plot point, dramatic action, character development, goal and theme (and it’s a great device for delaying the moment I actually begin the revisions). I also have a date column, which helps me monitor my timeline, this is especially useful with events like pregnancy and to make sure that the story ties in with historic events. I hope you’ve found these posts on using tools for structural editing useful, and remember to check back for more writing advice, or follow me on Facebook or Twitter where I post links to my latest tips for writers. This entry was posted in Editing advice for writers, Uncategorized and tagged editing, macro edit, plotting, story beats on November 9, 2018 by allieburns. If you’ve finished your first draft, these tools will help you to analyse your storyline and identify where to make changes when you embark on your macro edit. They’re planning tools, but they’re useful for your edit whether you’re just using them for the first time, or blowing off the dust and revisiting your original plans. This post focuses on some quick and easy techniques; I’ll take a look at the larger, more complex tools in a future post. If you wrote a vision or intention when you set out to write your novel now is the time to revisit it. For my second novel, The Land Girl, my intention was to tell the story, across generation and class, of how life changed for women during the First World War, and how this progress came undone after the Armistice. When I came to the end of my first draft, I was able to see where I’d stayed true to this intention, but also where I’d drifted from it. This helped me to identifiy scenes and subplots that were superfluous to the story’s central theme. If you didn’t write down your vision or intention at the beginning, it’s not too late to do this before you begin your edit as it will still give you focus and identify the core theme of your novel. It can be a challenge to reduce 90,000 words to just one hundred, but a whole novel is a difficult thing to analyse when you try to think of it in its entirety. One paragraph distils the story down to the main conflict and allows you to see how marketable and easy it is to communicate your concept. One technique is to write ‘When’ and then ‘Must’. This short paragraph will identify the inciting incident, the main character, their goal and the conflict – and you get all of that plot detail from just a couple of sentences. It will also help you to see if any of these vital plot elements are missing. I’ve not come across a writer who enjoys putting one of these together, but they are undeniably helpful editing tools. If you write an extended synopsis, rather than a one-pager, you will be able to see whether you’ve hit all of the right plot points and which elements of the story are the most pertinent (what you leave out of a synopsis is just as telling as what you include) and if any plotlines fizzle out without resolution. If you’ve left out an element of the storyline from the synopsis it could be because it’s a subplot, which is fine, but it could be a tangent you followed when the main plot became tough and you got distracted by a shiny new idea. You can ask yourself now whether this piece of the puzzle fits, or if it’s potentially a distraction that dilutes the main thrust of the plot. 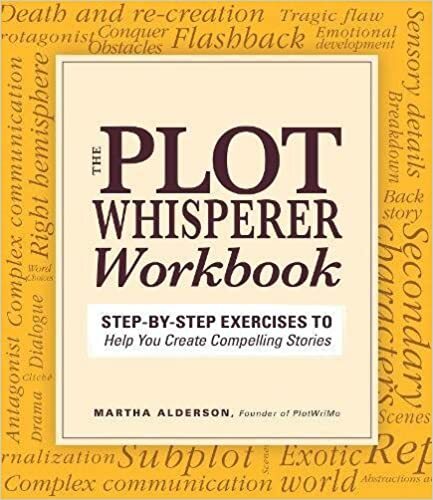 Other key questions are whether the plot stays with your core theme (as set out in your vision or intention statement), and how the subplots feed into the main story arc. You should be able to analyse from your synopsis if the protagonist’s external and internal conflicts are closely aligned, and whether or not they feed into one another at the story’s climax. The other important element you can assess here is character growth. 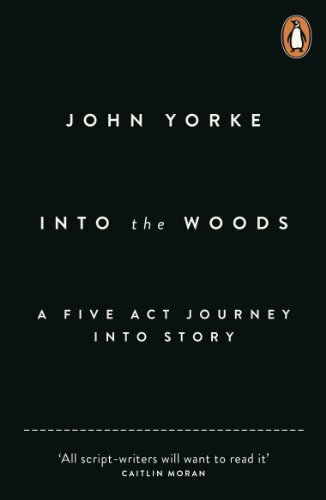 Somewhere near the beginning of the synopsis you should have communicated the main character’s flaw, or lack, and identified how the story’s early events have triggered the journey towards change. By the resolution you’ll have demonstrated how they’ve changed. Seeing it set out simply allows you to check that the protagonist’s journey has led to sufficient character growth. So, there you have three straightforward tools to get you going with your macro edit. This entry was posted in Editing advice for writers and tagged editing, editor, fiction, planning, storytelling, structural on October 22, 2018 by allieburns.